Residential Credit Solutions is a mortgage servicer specializing in delinquent loans and “credit-sensitive” (read: high-risk for default) residential mortgages. But after allegedly screwing over homeowners by, among other things, not honoring loan modifications on mortgages transferred from other servicers, RCS is on the hook to pay $1.5 million in restitution and a $100,000 penalty to federal regulators. The Consumer Financial Protection Bureau has reached an agreement [PDF] with Residential Credit following an investigation into a variety of complaints about the company’s unfair and potentially illegal business practices. The first alleged violation involved loans transferred to RCS that had already been granted modifications by the previous servicers. According to the CFPB, it was RCS’s “general practice not to honor previously agreed upon In-Process Modifications.” RCS would only honor those existing modifications after doing its own review of the complete application packet filed with the previous servicer. “If the consumer was unable to provide a complete packet, [RCS] treated the In-Process Modification as if it never existed,” explains the CFPB. And even in cases where the homeowner did provide the full application packet, it was left up to RCS’s own interpretation whether that modification should have been granted in the first place. And if RCS refused to recognize that agreed-upon modification, it would treat the homeowners as if they were in default, making collection calls, assessing late fees, and sending default/delinquency notices, or offering the option of applying anew for yet another loan modification. Since the previous modification wasn’t being honored, homeowners were forced to pay the higher, original monthly payments. If they tried to remit the lower amount as agreed-upon with their previous servicer, RCS would reject the payments. 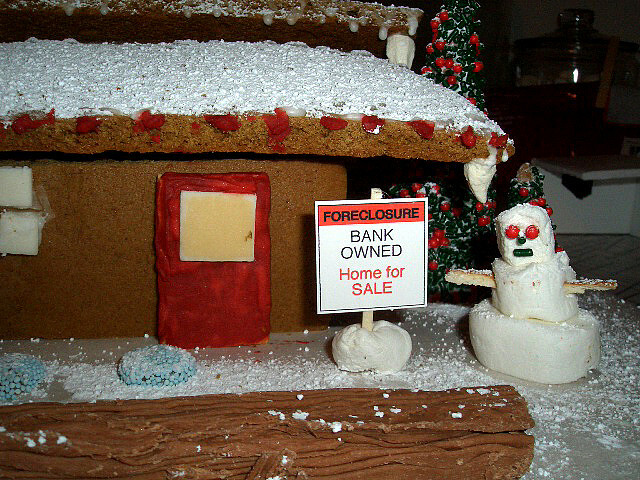 So it’s perhaps not a surprise that a number of homeowners lost their properties to foreclosure as a result. Another allegation made against RCS is that the company misled homeowners about funds in their mortgage escrow accounts. RCS sent a number of delinquent homeowners annual escrow statements indicating that there was a surplus — of anywhere from $80 to $10,000 — and that this amount would be refunded within 30 days. But in fact, says the CFPB, these homeowners did not have a surplus and no refunds were forthcoming. The final violation alleged by regulators involves RCS’s payment plans for homeowners who fell behind on their loan payments. The borrower also had to agree “not to file any opposition to a motion for relief from the automatic stay filed on behalf of RCS” in any bankruptcy. The CFPB says these agreements go too far in stripping homeowners of their legal rights. RCS has been ordered to pay $1.5 million to consumers whose in-process loan modifications were not honored. Receiving these refunds does not prevent affected borrowers from bringing their own civil claims against the company. The servicer must honor those previously agreed-upon loan modifications and must contact affected borrowers to offer them loss mitigation options. If RCS is currently pursuing foreclosure actions against an affected customer, it must stop. “By failing to honor loan modifications already in place, Residential Credit Solutions put consumers through more headaches but in some cases cost consumers their homes,” said CFPB Director Richard Cordray in a statement.